In November 2016, David H. Adams, MD, performed the first NeoChord procedure in the United States, in a trial exploring the efficacy of beating-heart mitral valve repair, without the use of cardiopulmonary bypass, through a minithoracotomy. A clinical study is ongoing within the United States to evaluate the use of the NeoChord DS1000. Mount Sinai Heart is leading a multicenter clinical trial of a minimally invasive mitral valve prolapse repair technology that has the potential to transform the standard of care for the disorder. The ReChord Trial is a randomized U.S. Food and Drug Administration study exploring the NeoChord DS1000 system in treating patients with degenerative mitral valve regurgitation. Ahmed El-Eshmawi, MD, Assistant Professor of Cardiovascular Surgery, Icahn School of Medicine at Mount Sinai, says the appeal of the device is that it enables surgeons to replace damaged chordae tendineae with artificial chordae without using cardiopulmonary bypass or cutting the sternum. David H. Adams, MD, Cardiac Surgeon-in-Chief of the Mount Sinai Health System, and the Marie-Josée and Henry R. Kravis Professor and Chair of Cardiovascular Surgery, Icahn School of Medicine at Mount Sinai, is National Co-Principal Investigator of the trial. In November 2016, Dr. Adams led a team at The Mount Sinai Hospital that performed the first surgery in the national ReChord Trial. 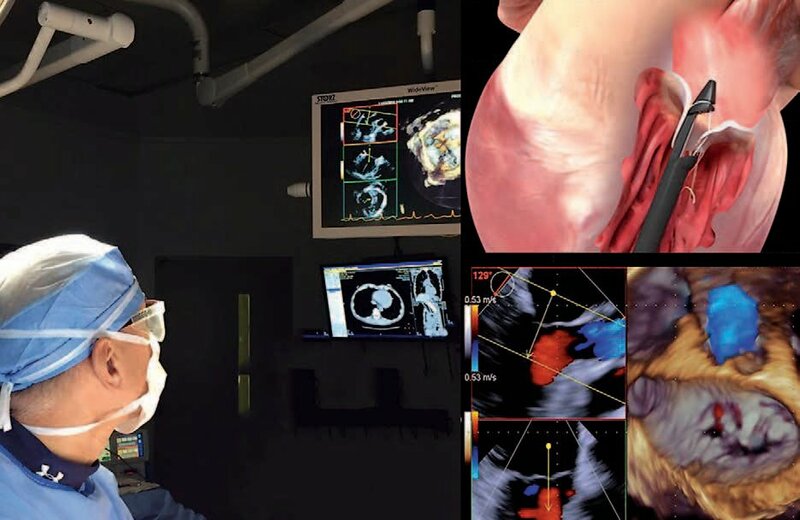 Thirty medical centers and 585 patients with single-segment mitral valve prolapse will participate in the seven year clinical trial, which is to be completed in July 2023. 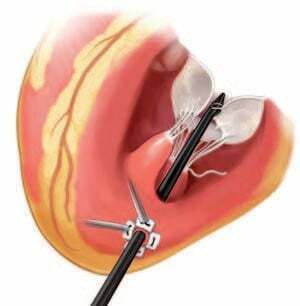 Dr. El-Eshmawi says half of the subjects will receive a mitral valve repair with the NeoChord device and the control group will receive repair using standard surgical techniques with cardiopulmonary bypass. After their procedures, all patients in the trial are monitored through consultations, phone surveys, and echocardiograms to determine the durability of the NeoChord repair compared with the standard of care. Dr. El-Eshmawi says the technology does not use an annuloplasty ring to support the repaired valve, so follow-up is needed to determine the long-term durability. He is optimistic that the NeoChord technology, which has received European Union clearance, could achieve outcomes comparable to standard surgery in well-selected patients. CAUTION: The NeoChord DS1000 is an investigational device limited by federal (United States) law to investigational use.